Thank you for following @FactOrFaked! Now it's your turn to get rewarded! Step 1: Must Be Following @FactOrFaked to be eligible. Step 3: Enter by Sunday, February 26th at 9 p.m. eastern. Austin Porter, Bill Murphy, Devin Marble, Ben Hansen and Jael de Pardo Signed 5x7 group shot. If you gave @FactOrFaked a follow friday on Friday, February 17th, you have one entry! 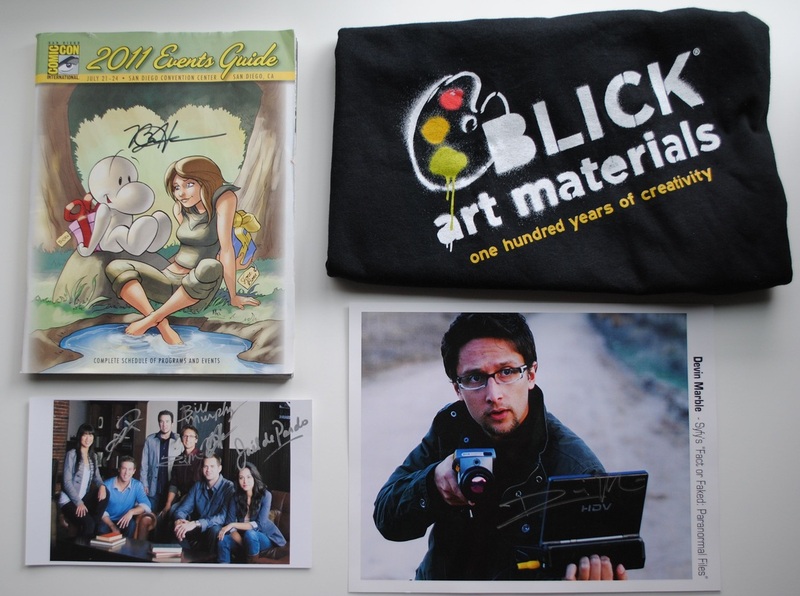 3 winners will win these signed items from the Fact or Faked Team! 2011 San Diego Comic Con Event Guide Signed by Fact or Faked: Paranormal Files, Team Lead, Ben Hansen. Fact or Faked: Paranormal Files, Devin Marble's signed headshot. From Wizard World's Anaheim Comic Con's VIP bag. Ben, Austin, Devin and Jael all attended this show. It's from one of their bags. More Contests and Giveaways in the future. Fact or Faked returns on April 17th on a new night and time, Tuesdays at 9/8c, Only on Syfy! *Email addresses are kept private and are not sold or given away only used as your entry, to contact you & if you win. 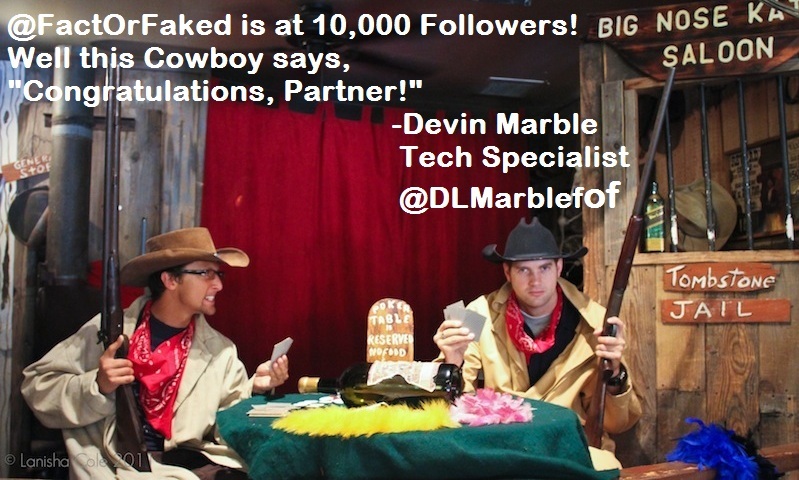 A message from Fact or Faked's, Tech Specialist, Devin Marble.